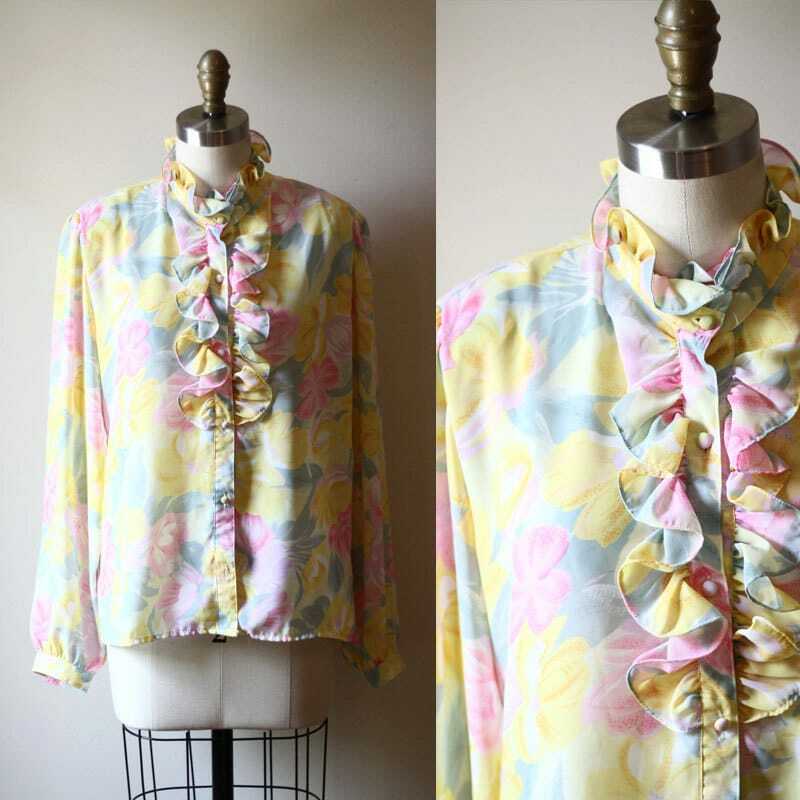 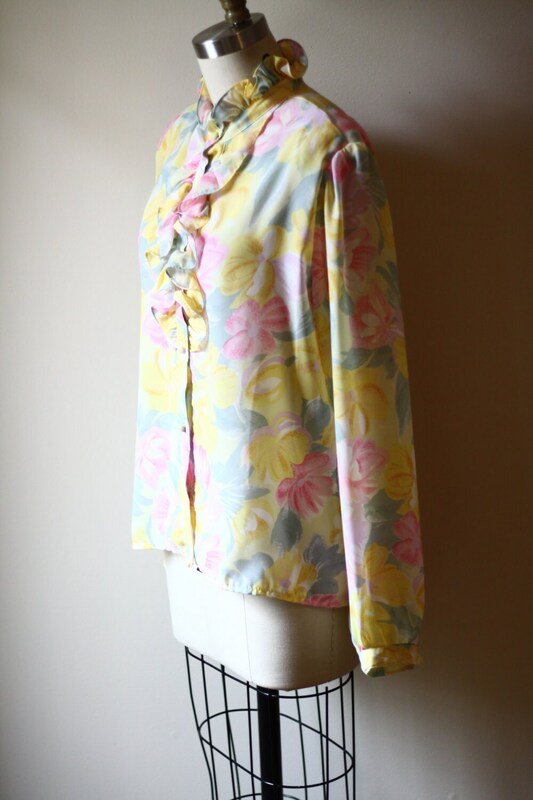 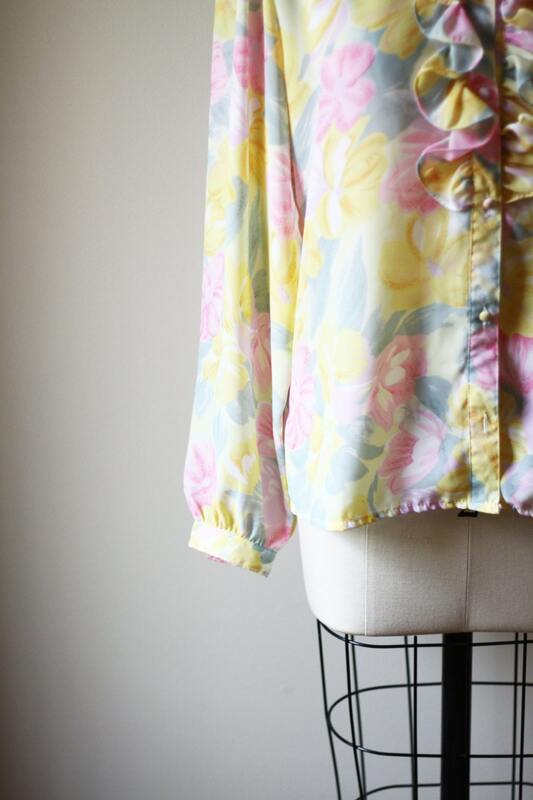 I absolutely love this 1960s sheer floral ruffle blouse. 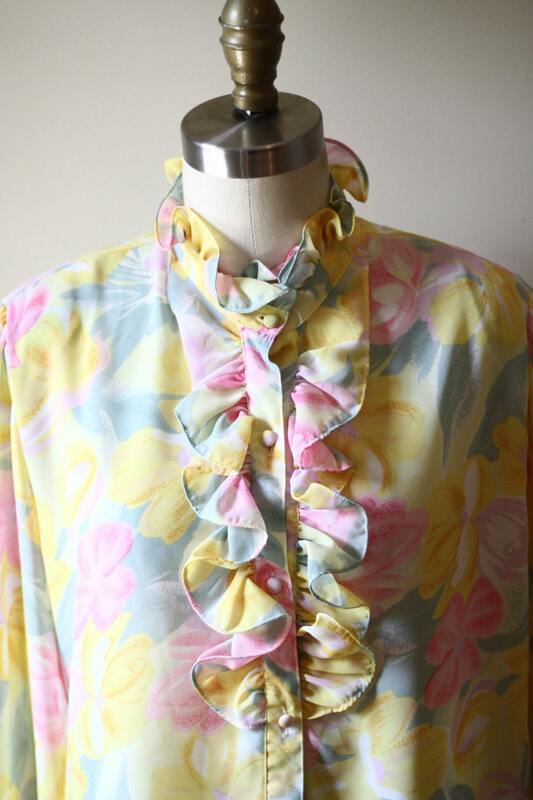 Button closures running up the front of the top and the most perfect colour palette for the fabric. 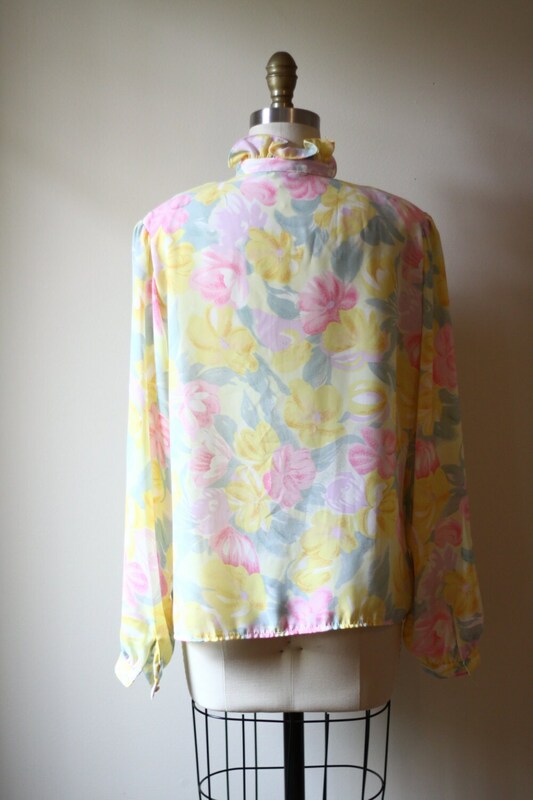 Such a beautiful top for summer.